Once you’ve hired your first employee, then you must make sure they get paid right? Well, we’ve seen some of the mistakes that employers typically make when they first start running payroll. This post will talk about the most important elements of processing payroll so that you don’t wind up in trouble. As an employer, you must adhere to the federal, state, and local labor and employment laws. The federal Fair Labor Standards Act (FLSA) establishes rules for the minimum wage, premium pay for overtime, and protections for children who work. All employers should be aware of FLSA requirements as well as state and local wage and hour laws. One thing to be aware of is that they sometimes appear to contradict one another. For example, the federal minimum wage is $7.25, it’s $8.25 in Illinois and starting July 1, 2019 it will be $13.00 in Chicago. As such, you must always follow the provisions that are most favorable to your employees (i.e., pay $13 per hour if you’re located in Chicago). Most states have informative websites to help you figure out which laws apply. It’s a good idea to start there and then talk with a professional to make sure you’re following the right set of laws. Once your pay rates are determined to be in accordance with the laws, you then have to figure out how often to pay your employees. The beginning and ending dates of this schedule is referred to as your pay period, which represents the period in which your staff logged work time or earned wages. Pay periods typically include weekly, biweekly, semi-monthly and monthly. The “payday” is the actual date on which employees are paid. It’s usually a fixed number of days after the end of the pay period. When it comes to payroll taxes, there are two parties, who are required to pay taxes on wages. This would be the employee and employer. These taxes are usually owed to both the federal government and the state, and in some cases to cities and municipalities as well. This post discusses in detail what some of those taxes are and your responsibilities. However, an employer is generally responsible for collecting federal income tax, Social Security, and Medicare tax from employees’ paychecks based on what employees marked in their Form W-4. The employer must then also pay a matching amount of Social Security and Medicare tax as well as Federal Unemployment Tax (FUTA). Remitting taxes collected and filing the appropriate tax returns. As an employer, it is your responsibility to deposit federal income tax withheld for your employees pay as well as both the employer and employee portions of social security and Medicare taxes. However when are you to make the deposits and how do you make them? Also, what are the penalties for making deposits late? This post will give you all the pertinent details. Now for filings. Paying the taxes is one thing, but you must also file the corresponding returns. If you don’t, then the taxing authorities can’t properly match the deposits with other needed information. Federal Form 941 (quarterly federal tax return) must be filed each quarter, and Form 940 (FUTA tax return) must be filed yearly. You may also have to file similar forms for your state. Employers are also required to send Forms W-2 and W-3 to the Social Security Administration (SSA) each year. 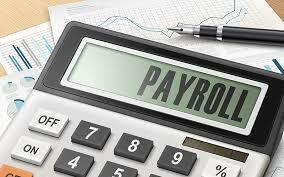 Most payroll services will handle these filings for you. If you do them yourself, read more about these forms here. As an employer, you must keep track of hours worked for hourly, nonexempt employees. Most workers are classified as either exempt or nonexempt depending on their salary and the type of work they do. You can read about these and other classifications in the FLSA and your state’s wage and hour laws. You can learn more about the timekeeping requirements by reviewing this fact sheet from the Department of Labor . As an employer, understanding the obligations associated with running payroll can be a little daunting. In this post we will explain what taxes you are responsible for, the returns that need to be filed as well as the associated deadlines. Since 2013, a 0.9 percent Medicare surtax when the employee earns over $200,000. 1.45 percent Medicare tax (the “regular” Medicare tax). What other things am I responsible for? The following checklist list provides a brief summary of your basic responsibilities. Because the individual circumstances for each employer can vary greatly, responsibilities for withholding, depositing, and reporting employment taxes can differ. Note: Due date of deposit generally depends on your deposit schedule (monthly or semiweekly). For more information on deposit schedules, see the following blog post. What are the due dates? The following calendar will tell you what items are due to be filed and their associated deadlines. File Form 941 or Form 944. File Form 941 for the fourth quarter of the previous calendar year and deposit any undeposited income, social security, and Medicare taxes. You may pay these taxes with Form 941 if your total tax liability for the quarter is less than $2,500. File Form 944 for the previous calendar year instead of Form 941 if the IRS has notified you in writing to file Form 944 and pay any undeposited income, social security, and Medicare taxes. You may pay these taxes with Form 944 if your total tax liability for the year is less than $2,500. File Form 940. File Form 940 to report any FUTA tax. Furnish Forms 1099 and W-2. Furnish each employee a completed Form W-2. Furnish Form 1099-MISC to payees for nonemployee compensation. File Form W-2. File with the SSA Copy A of all paper and electronic Forms W-2 with Form W-3, Transmittal of Wage and Tax Statements. For more information on reporting Form W-2 information to the SSA electronically, visit the SSA’s Employer W-2 Filing Instructions & Information webpage. If filing electronically, via the SSA’s Form W-2 Online service, the SSA will generate Form W-3 data from the electronic submission of Form(s) W-2. File Form 1099-MISC reporting nonemployee compensation. File with the IRS Copy A of all paper and electronic Forms 1099-MISC that report nonemployee compensation, with Form 1096, Annual Summary and Transmittal of U.S. Information Returns. File Form 945. File Form 945 to report any nonpayroll federal income tax withheld. Request a new Form W-4 from exempt employees. Ask for a new Form W-4 from each employee who claimed exemption from income tax withholding last year. File paper Forms 1099 and 1096. File Copy A of all paper Forms 1099, except Forms 1099-MISC reporting nonemployee compensation, with Form 1096 with the IRS. File paper Form 8027. File paper Form 8027, Employer’s Annual Information Return of Tip Income and Allocated Tips, with the IRS. Forms W-4 claiming exemption from withholding expire. Any Form W-4 claiming exemption from withholding for the previous year has now expired. Begin withholding for any employee who previously claimed exemption from withholding but hasn’t given you a new Form W-4 for the current year. If the employee doesn’t give you a new Form W-4, withhold tax based on the last valid Form W-4 you have for the employee that doesn’t claim exemption from withholding or, if one doesn’t exist, as if he or she is single with zero withholding allowances. If the employee gives you a new Form W-4 claiming exemption from withholding after February 28, you may apply the exemption to future wages, but don’t refund taxes withheld while the exempt status wasn’t in place. File electronic Forms 1099 and 8027. File electronic Forms 1099, except Forms 1099-MISC reporting nonemployee compensation, and 8027 with the IRS. Deposit FUTA taxes. Deposit FUTA tax for the quarter (including any amount carried over from other quarters) if over $500. If $500 or less, carry it over to the next quarter. File Form 941. File Form 941 and deposit any undeposited income, social security, and Medicare taxes. You may pay these taxes with Form 941 if your total tax liability for the quarter is less than $2,500. Don’t file Form 941 for these quarters if you have been notified to file Form 944 and you didn’t request and receive written notice from the IRS to file quarterly Forms 941. New Forms W-4. Remind employees to submit a new Form W-4 if their marital status or withholding allowances have changed or will change for the next year. As an employer, it is your responsibility to deposit federal income tax withheld for your employees pay as well as both the employer and employee portions of social security and Medicare taxes. However when are you to make the deposits and how do you make them? Also, what are the penalties for making deposits late? Well, read on my friend to learn the answers to your questions. 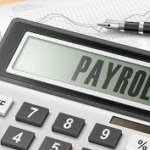 There are two schedules for determining when you deposit payroll taxes. These schedules (monthly and semi-weekly) tell you when a deposit is due after a tax liability arises (for example, when you have a payday). The deposit schedule you must use is based on the total tax liability you reported on IRS Form 941 during what is known as the lookback period. Your deposit schedule isn’t determined by how often you pay your employees. So what is the lookback period? If you’re a Form 941 filer, your deposit schedule for a calendar year is determined from the total taxes reported on Forms 941, line 10 (line 12 for quarters beginning after December 31, 2016), in a 4-quarter lookback period. The lookback period begins July 1st and ends June 30th. If you reported $50,000 or less of taxes for the lookback period, you’re a monthly schedule depositor; if you reported more than $50,000, you’re a semiweekly schedule depositor. Now what if you are a new employer? Your tax liability for any quarter in the lookback period before you started or acquired your business is considered to be zero. Therefore, you’re a monthly schedule depositor for the first calendar year of your business. Under the monthly deposit schedule, an employer deposits employment taxes for payroll made during a month by the 15th day of the following month. So for example, the payroll taxes for you August payroll would need to be deposited by September 15th. Under the semiweekly deposit schedule, deposit employment taxes for payrolls processed on Wednesday, Thursday, and/or Friday by the following Wednesday. Deposit taxes for payments made on Saturday, Sunday, Monday, and/or Tuesday by the following Friday. You must use the Electronic Federal Tax Payment System (EFTPS) to make your deposits. If you don’t want to use EFTPS, you can arrange for your tax professional, financial institution, payroll service, or other trusted third party to make the deposits on your behalf. FTPS is a free service provided by the Department of Treasury. To get more information about EFTPS or to enroll, you can visit the EFTPS website or call 1-800-555-4477. If you’re a new employer that indicated you might have payroll tax liabilities when you requested an EIN, you’ll be pre-enrolled in EFTPS. You’ll receive information about Express Enrollment in your Employer Identification Number (EIN) Package and an additional mailing containing your EFTPS personal identification number (PIN) and instructions for activating your PIN. Call the toll-free number located in your “How to Activate Your Enrollment” brochure to activate your enrollment and begin making your payroll tax deposits. If you outsource any of your payroll and related tax duties to a third party payer, such as a PSP or reporting agent, be sure to tell them about your EFTPS enrollment. If you don’t make required deposits on time or if you make deposits for less than the required amount, you might be subject to penalties. The penalties don’t apply if any failure to make a proper and timely deposit was due to reasonable cause and not to willful neglect. If you receive a penalty notice, you can provide an explanation of why you believe reasonable cause exists. 2% – Deposits made 1 to 5 days late. 5% – Deposits made 6 to 15 days late. 10% – Deposits made 16 or more days late, but before 10 days from the date of the first notice the IRS sent asking for the tax due. 10% – Amounts that should have been deposited, but instead were paid directly to the IRS, or paid with your tax return. 15% – Amounts still unpaid more than 10 days after the date of the first notice the IRS sent asking for the tax due or the day on which you received notice and demand for immediate payment, whichever is earlier.